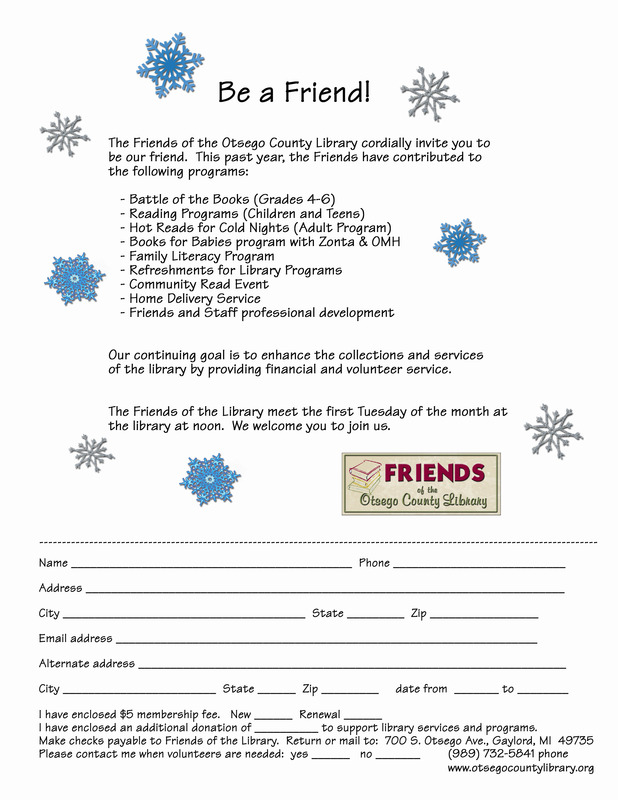 The Friends of the Otsego County Library are dedicated to enhancing the collections and services of the Otsego County Library by providing sustained financial support as well as educational and cultural opportunities for its members and the community. FRIENDS desire to build a partnership between the library and the community to advocate for quality library services for all of the people of Otsego County. and what's happening at our library.